LANCASTER – The Antelope Valley Mosquito and Vector Control District has received many phone calls about “large mosquitoes” throughout the Antelope Valley. They’re actually crane flies — pesky but completely harmless. Crane flies resemble over-sized mosquitoes and are sometimes referred to as mosquito hawks or mosquito eaters (although they do not eat mosquitoes). Crane flies typically are about an inch in length and have a leg span that can be twice as long as the body. Mosquitoes are only around a quarter of an inch in size. Crane flies emerge in early spring from moist soil. Due to above average rainfall this winter, crane flies will be seen in large numbers now and throughout the coming weeks, according to entomologist Karen Mellor. 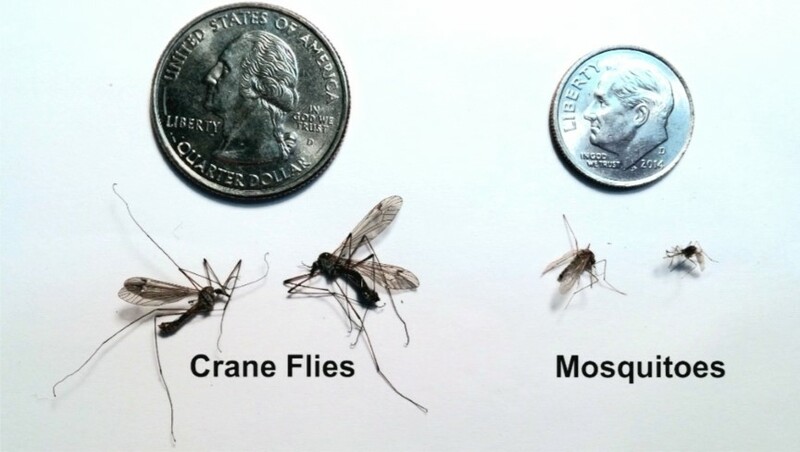 “Although crane flies can be pesky, especially in large numbers, they are completely harmless and do not spread disease or pose a threat to public health,” Mellor said. The AVMVCD recommends turning off lights near entrances to the home at night, since insects are attracted to light. This will keep crane flies and other insects from congregating and possibly entering your home. Although these particular insects are not mosquitoes, the District does advise residents to check their properties for standing water weekly to avoid mosquito breeding. For further questions or service requests, contact the Antelope Valley Mosquito & Vector Control District at 661-942-2917. To stay up-to-date on mosquito-related information, visit www.avmosquito.org.